Elderberry leaves, bruised, if worn in the hat or rubbed on the face, prevent flies settling on the person. In order to safeguard the skin from the attacks of mosquitoes, midges and other troublesome flies, an infusion of the leaves may be dabbed on with advantage. 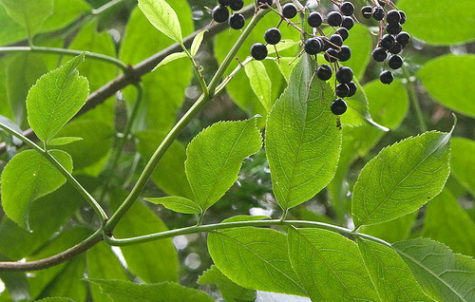 Gather a few fresh leaves from the elder, tear them from their stalks and place them in a jug, pouring boiling water on them and covering them at once, leaving for a few hours. When the infusion is cold, it is fit for use and should be at once poured off into a bottle and kept tightly corked. It is desirable to make a fresh infusion often.